Not too long ago we reported that Robocop was receiving a film reboot that’s slated to come out in 2014. This year’s Comic-Con has given us a few more details along with a deeper look into the movie’s overall message. Robocop will seek to raise the question of whether or not drones should be used by local police departments. Back when the original Robocop came out, drones and automated machinery were little more than ideas within the realm of science fiction. Today’s society sees that drone-based police enforcement is on the horizon. They’re already putting up signs on the side of Bay Area highways after all! The Robocop panel at Comic-Con opened with a trailer that had Samuel L. Jackson playing the role of Pat Novak, a talk show host, who was describing the debate over whether or not robots and drones should be used by local law enforcement agencies in Tehran. The trailer continues through the usual cuts and whatnot before ending with Joel Kinnaman transforming into Robocop. All I can think is at least it’s not another movie about terrorism! They’ve been all over the place recently; it’s time for a new plot. 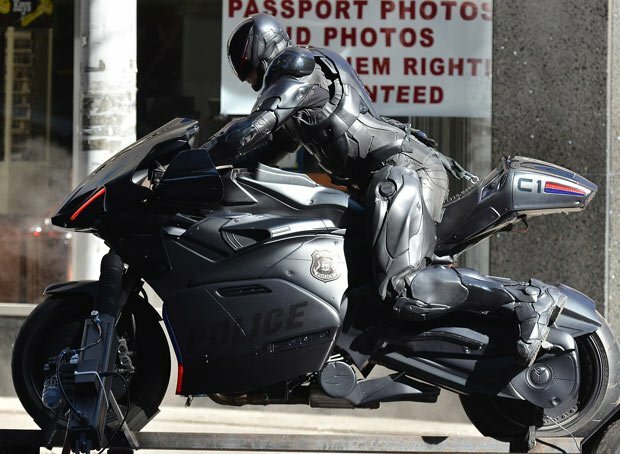 Are you excited for the Robocop reboot?